Writing World: Literary Events NL – Road Trip! There is no shortage of majesty or artistic inspiration in Newfoundland and Labrador. A glimpse out the window of just about any corner of the island can act as a muse that would deflect any amount of writers block or creative fatigue. It should come as little shock that our community of authors on this island in the Atlantic is as rich and diverse to rival that of any coast to coast. 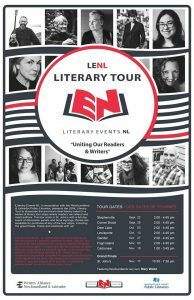 Literary Events NL is the personification of that wonderful truth, an eight stop touring storytellers circuit of the very best this island has to offer, or in this case author. 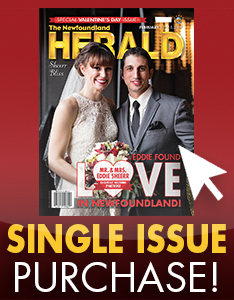 The tour kicked off on September 22nd in Stephenville, reaching public libraries in Corner Brook, Deer Lake and Lewisporte, with dates scheduled for Gander Public Library (October 27th), Fogo Island Public Library (November 3rd), Carbonear Public Library (November 10th) and the grand finale at the A.C. Hunter Public Library in St. John’s on November 17th. The panel format of author readings and fan interaction (aimed at both adults and children) features the likes of Carolyn Parsons, Jeff Kelland, Marshall Godwin, Matthew LeDrew, Jennifer Kelland Perry, Dawn Baker, Gary Collins, Helen C. Escott, Alison Dyer and special finale guest Mary Walsh. In reflecting on just what makes Newfoundland and Labrador such an amazing hotbed for world class artists and authors, Godin – an accomplished author in her own right – reflects on person and place. “For myself, I know I’m inspired by the land. My series, islander romance, there’s a lot of the land and a lot of description. You see all these artists coming to Fogo and these small little places and just being detached from the greater world and having the opportunity to listen to their inner creative voice. 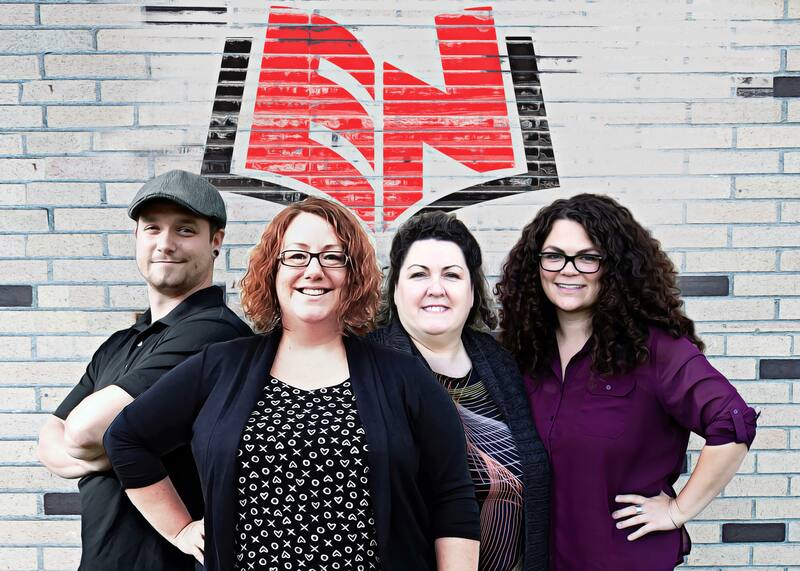 For more on Literary Events NL visit the groups official Facebook and Twitter pages. Author lineups vary according to location.